Laura E. Richards, née Howe, was born in Boston, Massachusetts, one of six children of Julia Ward Howe and her husband Dr. Samuel Gridley Howe. She was named after Laura Bridgman, her father's star pupil at the Perkins Institution for the Blind. The household overflowed with music and books and the children studied French, German, and Italian. At age 17, she accompanied her parents and sister Julia on a tour of Europe. In 1871, she married Henry Richards, a neighbor and Harvard classmate of her brother. The couple moved with their children to Gardiner, Maine, where he managed his family's paper mill. She made her publishing debut in 1880 with the books Five Little Mice in a Mouse Trap and The Little Tyrant. She also published retellings of folktales such as Beauty and the Beast (1886), and further books for children, including the interrelated stories: Melody (1893), Marie (1894), Bethsada Pool (1895), and Rosin the Beau (1898). 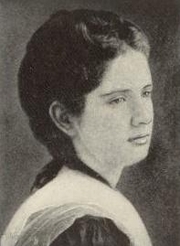 Her best-known collection of poetry was Tirra Lirra: New Rhymes and Old (1932). Her children's novel Captain January (1981) was adapted into a 1936 musical film starring Shirley Temple. She also wrote biographies such as Florence Nightingale: Angel of the Crimea (1909), Two Noble Lives: Samuel Gridley Howe and Julia Ward Howe (1911), and Laura Bridgman: The Story of an Opened Door (1928). In 1917, she won the Pulitzer Prize for the biography Julia Ward Howe, 1819-1910, co-authored with her sister, Maud Howe Elliott. Laura E. Richards is currently considered a "single author." If one or more works are by a distinct, homonymous authors, go ahead and split the author. Laura E. Richards is composed of 4 names. You can examine and separate out names.